Did you know that the headline you give your posts can make all the difference in whether or not people stop and read the entire post? 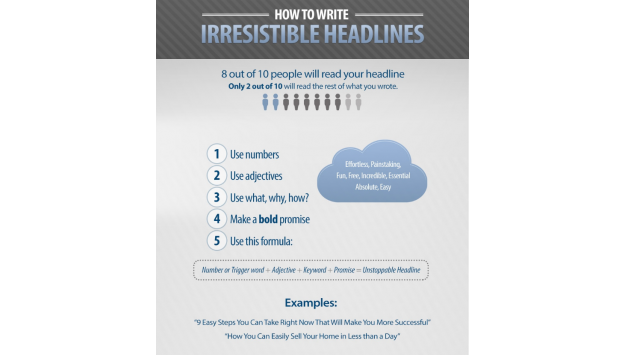 8 out of 10 people will read your headline, but only 2 out of 10 will read the rest of the post. So how do you get the most attention possible for your posts through the headline? Use these 5 simple steps. 3. Use What, Why, How? It’s super easy and can be an effective way to bring attention to your posts that will hopefully create leads.